Ajax sensation Frenkie de Jong is not sure whether he will remain with Ajax or leave as Barcelona, Manchester City and Paris Saint-Germain circle. 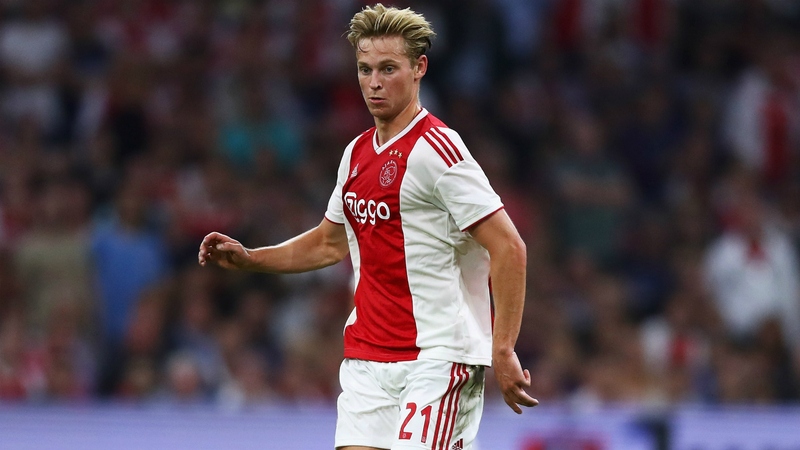 Highly rated midfielder De Jong has been heavily linked with LaLiga champions Barca and Premier League holders City following his impressive performances for Dutch giants Ajax. On Thursday, reports also emerged of a possible €75million move to Ligue 1 champions PSG in the off-season, however the 21-year-old star is uncertain of his club future beyond the 2018-19 campaign. "It's difficult to say what will happen," De Jong told the Guardian. "I want to finish this season well with Ajax. Then we will see. "Maybe I'll stay for another year, maybe I'll leave. But I am not sure." On the ongoing speculation, De Jong added: "I don't pay attention to it. "I hear the stories but I just want to finish this season well." While De Jong is focused on helping Ajax win their first Eredivisie title since 2014, the Netherlands international revealed his admiration for City boss Pep Guardiola and his style of football. "I love this style. Get the ball back quickly, then play possession with so many combinations," De Jong said. "When you watch that, you get the feeling you want to go out on the pitch and play football with your friends and just enjoy yourself. City and Barcelona are great examples."